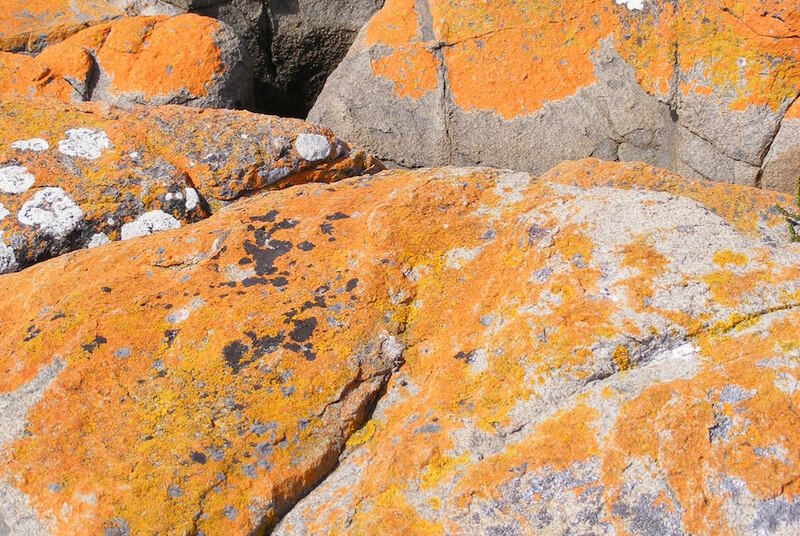 Lichen-covered rocks near Greens Beach, Tasmania. Courtesy of Wikimedia Commons. outreach the power of touch. over a collection of broken teeth. Laton Carter is the author of Leaving, which received the Oregon Book Award.